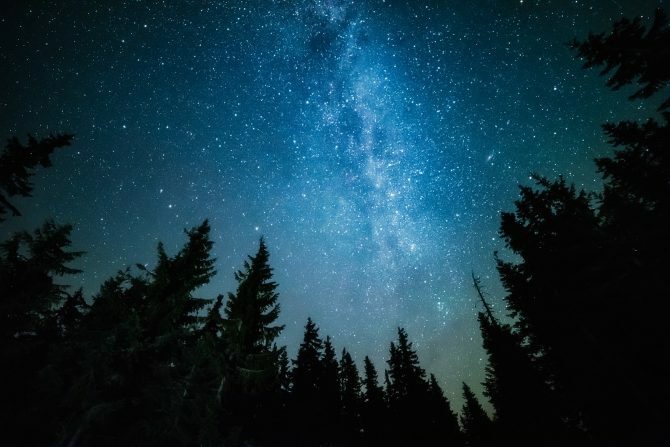 While the landscapes of Earth are beautiful, there is nothing quite like the starry night when you’re out in the wild, away from civilization and light pollution. 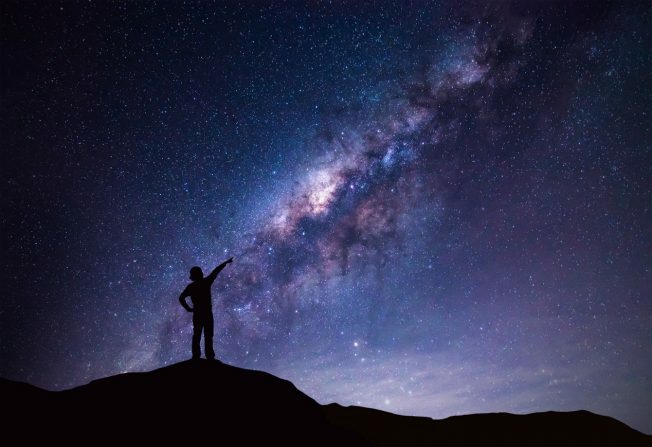 If you’re anything like me, you’ve probably gazed upon the night sky many times, wondering and dreaming of what’s out there, far away in the dark abyss, amongst thousands of those flickering white lights. Do you want to know how to capture the Milky Way in its full glory? This Night Sky Photography Guide with plenty of Milky Way photography tips is going to help you understand the challenges of astrophotography, how to approach them, as well as all the best gear, useful techniques and helpful tips for composing nightscape photos worthy of a photography magazine. Choosing the right equipment makes up a big part of our night sky photography guide. You’re probably wondering what’s the best gear setup for nightscape photography and whether you’ll need to spend a small fortune to get set up. Any camera that has a manual exposure mode, i.e., manual control over settings, will do. When in ideal conditions, capturing the Milky Way with a smartphone will produce a decent view of the galaxy. However, if you’d like your photos to pop and not ruin them by noise or low dynamic range, consider investing either in DSLR or Mirrorless camera. These will have a significant sensor compared to those of smartphones and P&S cameras. You might want to consider an APS-C sensor DSLR such as the semi-pro Canon EOS 80D. If you want to go fully professional, a full-frame sensor camera such the Nikon D810 or the mirrorless Sony Alpha A7R II will produce the best results. Any good photographer will tell you the lens is far more important than the camera. In night time photography where the sensor is struggling to collect enough light, a fast lens is especially important. A fast lens equals a large aperture (small value on the lens). You can tell the lens aperture size by the F-number. Smaller F number equals larger aperture. To get best results out of this nightscape photography guide, we recommend using a lens with an aperture of F/2.8 or larger. Much like landscapes, you capture nightscapes employing a wide-angle view where you’re able to capture the whole scene. To get a wide-angle lens, look for a glass with short focal length, e.g., a 18mm or shorter. These lenses are also less prone to star trailing (more on that later). That’s why the best lens for night sky photography is a combination of large aperture and short focal length. For APS-C users I would recommend Tokina 11-16mm F/2.8 AF or the Rokinon 16mm F2.0 MF. They are among the sharpest of the APS-C crowd and proven in the field of astrophotography. The Rokinon (also called Samyang) is a bit lighter on the wallet, though it lacks the flexibility of autofocus and zoom range found on the Tokina. For Full-Frame users looking for a super-wide night photography lens, the Rokinon 14mm f/2.8 is an excellent choice. And if you’d like to get a little closer, the Sigma 35mm f/1.4 Art will not disappoint you either. Using a tripod is a must when it comes to night sky photography. We’re using slow shutter speeds that are otherwise impossible to pull off without blur. While practically any tripod would suffice, keep in mind tripods can also be a pain. Higher quality tripods will make your life as a night sky photographer much more comfortable. Consider the carbon-fiber Manfrotto MT055CXPRO3 for a highly durable and flexible tripod. There is a more affordable, aluminum version as well. In this part of the night sky photography guide, I’ll walk you through best practices, settings to use and other useful tips. Let’s say you’re sporting a professional full-frame camera and a fast lens that you’ve heard is one the best wide-angles for night photography. You’re sitting on your balcony, body mounted on a tripod, you set the exposure and focus just right and hit that shutter button. A few dozen seconds later and you got your shot, all fuzzy and overblown, with no stars in sight, let alone the Milky Way. You’re disappointed, but what went wrong? Maybe you guessed it; it’s the location! You’re in the city. Cities are utterly overblown by light which ruins any shot at a decent nightscape photo. You would be amazed at how far these lights reach, too. To get away from pollution generated by lights of a relatively large city, you may need to drive a few hours into the country. Smaller towns are not that bad if you pick a spot at the high ground, above the light source. Milky Way Photography Tip: Use the Light Pollution Map to figure out an appropriate location. Keep in mind: the Moon is another major player for light pollution, so you’ll want to avoid shooting stars when moonlight is prominent. The same goes for the weather in general, as clouds will both reduce visibility, and create more light pollution as they reflect lights from nearby towns. Milky Way Photography Tip: Use the Moon Calendar to pick a time when the Moon’s luminosity is low, or ideally, non-existent. In case it’s not apparent to the naked eye, you can quickly locate the Milky Way using an App such as SkyView. It also points to the Moon and Sun direction, as well other celestial bodies. Try to make your composition more interesting by including a subject, instead of shooting the night sky on its own. The subject can be a mountain range in the distance, a cactus plant in the foreground or a silhouette of a man holding a light torch. If the foreground turns out too dark, you may want to shoot the same scene multiple times, each time using a different exposure, and then merging these (using the recommended software AURORA HDR 2018). Set the file format to RAW, or JPEG + RAW. This uncompressed format will contain extra image information that is otherwise lost in JPEG compression. Using software such as Adobe Photoshop, you can edit the RAW image and make it shine by increasing sharpness, reducing noise and bringing out details from shadows and highlights. This goes without saying, set your lens to the widest aperture possible. The idea is to use the slowest shutter speed (longest exposure) possible without causing star trailing. Star trails are stars blurred into lines, caused by Earth rotation during a long exposure shot. For ASP-C users: Divide the number 300 with your focal length. Example: 300 / 11mm = 27.27s. That means 27s should be the optimal value for shutter speed. For Full-Frame users: Do the same but use the number 500 instead of 300. Once you’ve set the shutter speed, move up the ISO until you’ve hit the desired exposure, but be careful not bump ISO too much or you’ll get a very noisy photo. With an entry-level APS-C camera, you should avoid going beyond ISO3200. Another important factor when choosing a lens for star photography is its focus capabilities. It is tough to automatically acquire focus (autofocus, AF) on stars because they are so dim and far away. At the same time, turning the focus ring manually, zooming in and hunting for the sweet spot can become very time-consuming. So, what do we do? 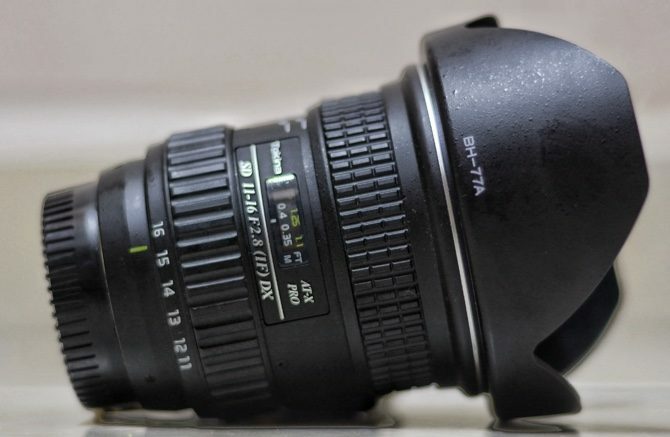 The best option is to set focus manually to infinity using the infinity point on the focus ring. Keep in mind though that not all lenses have strong infinity points. Alternatively, you can try to lock AF on some other distant light source, e.g., a lit barn on the other side of the valley or car lights on a tree, and then re-frame the camera towards the sky. Milky Way Photography: Did you know? There are between 150-250 billion stars in a milky way! It’s estimated that there are between 150 – 250 billion stars in the Milky Way galaxy. In the middle of the desert in perfect weather, the human eye can see roughly 4500 of them. If you’ve ever found yourself beneath that kind of a nightscape, you know how breathtaking it is. Now imagine the same view but with a camera sensor instead of human eyes. Unlike the human eye, a camera can stack layers upon layers of information during a long-exposure shot, capturing far more stars than the naked eye can see. Final Recommendations for Shooting the Milky Way: As we’ve seen, best results in star photography are achieved using a large sensor and a fast lens (with long exposure), as well as paying attention to the focus. I hope you’ve found this night sky photography guide useful, and wish you the best of luck in capturing the Milky Way night sky. Happy shooting!